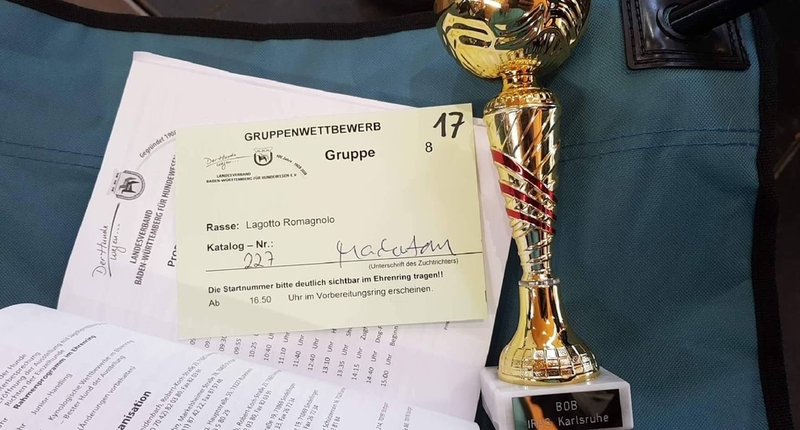 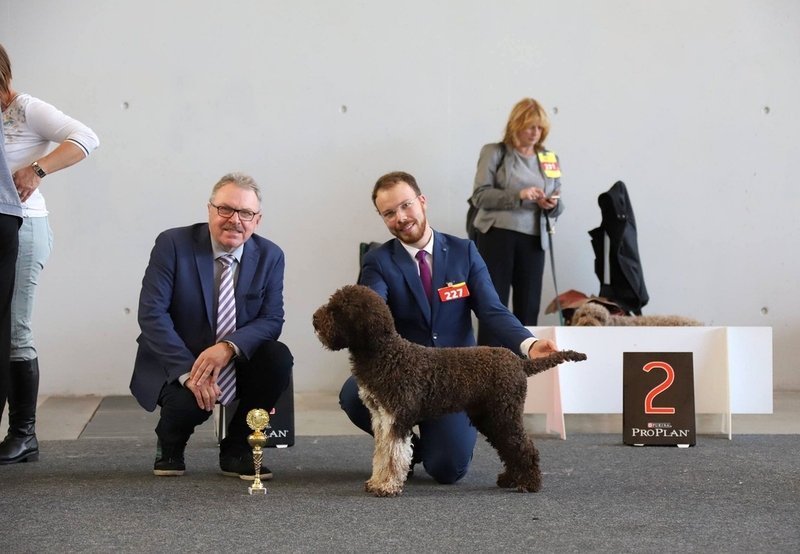 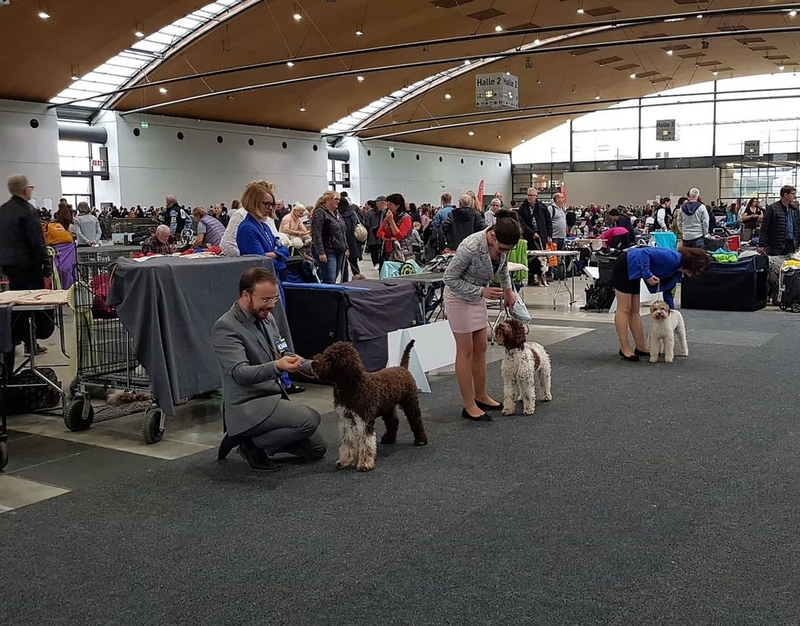 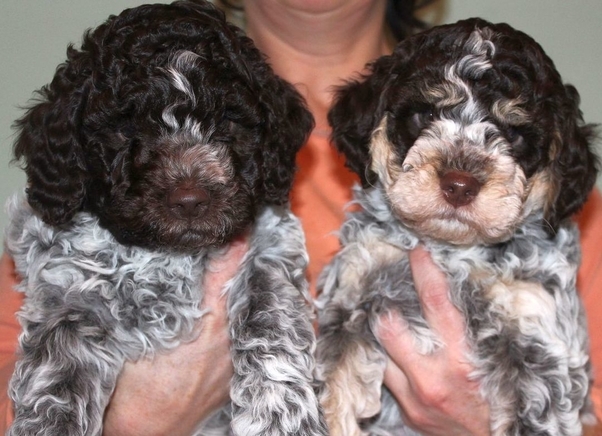 Our lagotto Radiva baby K Rob - Robko participated in one National and one International Dog Show in Karlsruhe, Germany and he made us soooo proud! 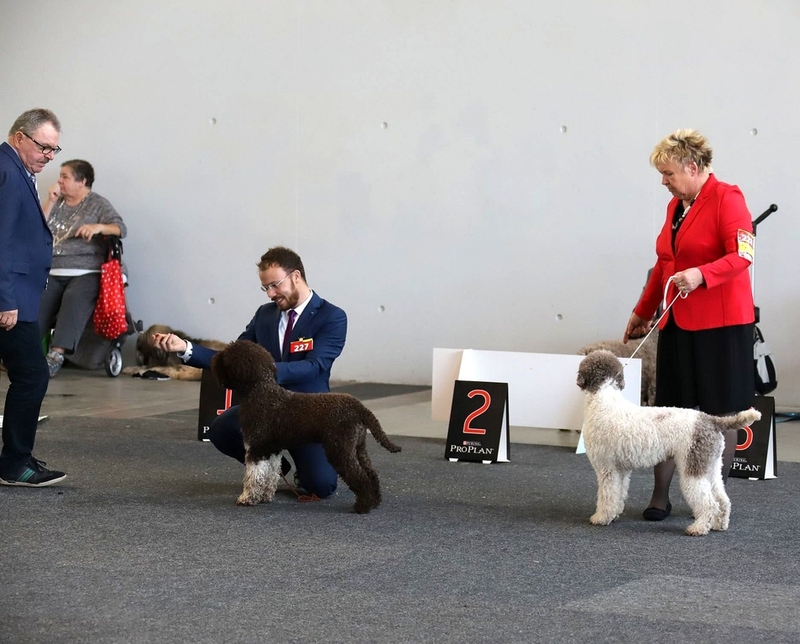 First day he got Excellent 1, VDH, CAC and best male (BOS) in strong competition (judged by Mr.. A. Deutscher, 26 entries) and on the second day he got Excellent 1, VDH, CAC, CACIB and Best of Breed (judged by Mr. P. Machetanz, 29 entries). 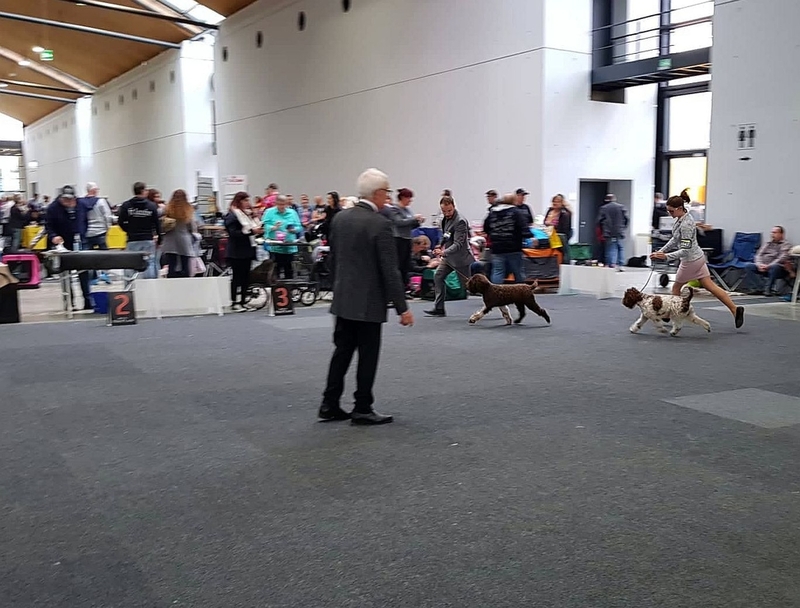 Handling by Juraj Števiar.